As an independent, not-for-profit organization, Morgan Park Academy is funded primarily by tuition and fees, which are used to finance operating costs such as school programs, faculty and staff salaries, and maintenance of our facilities. 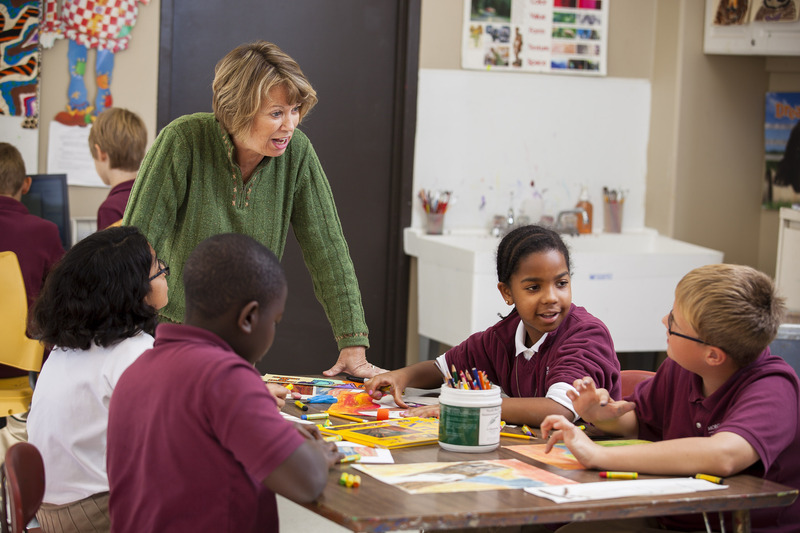 A commitment to inclusion is an essential element of Morgan Park Academy's educational philosophy and school culture. Economic diversity enriches the educational opportunity for all families and participation of a wide range of families is critical to the health of the school. Among our families are those who can afford tuition at the top of the index and whose philanthropic generosity provides a vital component of annual operating expenses. There are also families who manage to pay tuition at the highest level only by making a substantial sacrifice, those who are able to afford only minimal tuition, and those across the spectrum in between. Financial support for indexed tuition is derived from the school's operating budget and gifts to the Annual Giving Fund. Because the school is determined to make an MPA education accessible to families from a wide range of economic backgrounds, the school offers a wide range of tuition levels. A $1,000 matriculation fee is added to all new contracts. New families must submit a 20% deposit when they sign an enrollment contract. The deposit is calculated as 20% of the total of tuition plus matriculation fee, minus any indexed tuition award. Returning families pay a 10% deposit with the signing of the enrollment contract. Should my Family Consider Indexed Tuition? We encourage families to apply for indexed tuition if they have concerns about their ability to afford tuition at the highest level. While every family is expected to contribute to the cost of tuition and fees and to support the community to the extent individual family circumstances permit, the Academy does not expect each tuition level to be the same. The formula used to calculate the tuition level is complex and considers many factors that affect a family's ability to pay. Morgan Park Academy uses FACTS Financial Assistance system to assist in collecting relevant income information to determine indexed tuition levels. To be considered for an indexed tuition lower than the highest level, families must furnish detailed financial information by filling out the FACTS Application for Financial Assistance completely. This will require submission of a copy of last year's IRS Form 1040 and W-2 forms for the last two years.The Academy will not determine the indexed tuition until all information is verified by FACTS. The Academy reserves the right to modify the indexed tuition if information submitted on the Financial Assistance Application is significantly different from that on the IRS Form 1040. All families' financial information is kept strictly confidential. Families should note that the time frame for determination of indexed tuition moves quickly-current federal tax returns must be submitted very early, preferably in January or February before contracts are due for returning families, in order for an indexed tuition determination to be sent with the admission decision letter or the re-enrollment contract. Applicant families should be aware that determination of indexed tuition is separate from the admission process. Unfortunately, however, while the current indexed tuition and financial aid budget has historically been over $2.0 million, in a given school year the school may not have the resources to support indexed tuition for every student who is eligible. It is important to note that once the indexed tuition budget is gone for the year, no additional aid will be awarded. Other fees might arise; prior notice will be provided for all extras, with payment due immediately. Payment in Full — Tuition is due in full by June 1 before the start of the next school year. Quarterly Payments — Tuition is paid in four quarterly installments (payments made in June, September, December and March). Monthly Payments — Tuition is paid in monthly installments. In order to have 12 monthly payments, payments must start in in June before the start of the new school year and continue on a monthly basis through May of the next year. All plans must be completed (paid in full) by May. Payments are due on the 5th or 20th of each month as per the FACTS agreement. Exceptional Upper School students can earn merit awards based on factors including their admission application, merit application, and score on the MPA entrance exam. These awards can be added to awards received through our indexed tuition plan. Interested Upper School students must complete the merit award application. Upper School students earning merit awards need not re-apply for the award each year, though they must fill out the financial aid form each year. Families enrolling more than one student are eligible for a 10% sibling discount on tuition for the second and subsequent children. Since 1966, LINK Unlimited has provided academic support for hundreds of economically disadvantaged African-American youth. Students apply for the program before as incoming freshmen. More at linkunlimited.org. The organizations listed below may also assist with financial aid. Please note that these organizations and services operate independently of Morgan Park Academy. The Illinois Tax Credit Scholarships Program/ "Invest in Kids"
Application process: You will need to apply for tax credit scholarships through a scholarship granting organization (SGO), which will manage this process, instead of the school directly. There will likely be several SGOs in Illinois. Empower Illinois and The Big Shoulders Fund are two SGOs in Illinois. Empower Illinois is a trusted partner with experienced employees who have managed a similar scholarship process in Florida. The application process with Empower Illinois will be completed online at www.empowerillinois.org. The application process with The Big Shoulders Fund will be completed online at www.bigshouldersfundsgo.org. School families are free to apply for scholarships through multiple SGOs, and given how funds will be distributed, it is beneficial to apply through multiple SGOs.The applications process may open as early as January 2, 2018, or possibly later in January. 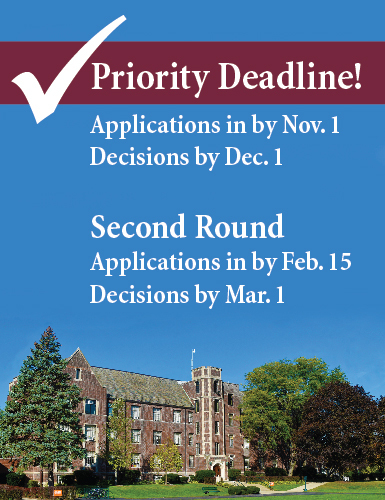 Application deadline: The deadline for submitting applications is still being determined. We will provide more information as soon as it is available. Scholarships will be awarded on a first come, first served basis, so it is very important that when the application process begins, you apply early. Scholarships may NOT exceed $12,973, the 2018/19 statewide average public school cost for K-12 students. Application process:You will need to apply for tax credit scholarships through a scholarship granting organization (SGO), which will manage this process, instead of the school directly. There will likely be several SGOs in Illinois. Empower Illinois and The Big Shoulders Fund are two SGOs in Illinois. Empower Illinois is a trusted partner with experienced employees who have managed a similar scholarship process in Florida. The application process with Empower Illinois will be completed online at www.empowerillinois.org. The application process with The Big Shoulders Fund will be completed online at www.bigshouldersfundsgo.org. School families are free to apply for scholarships through multiple SGOs, and given how funds will be distributed, it is beneficial to apply through multiple SGOs. The applications process may open as early as January 2, 2018, or possibly later in January. Does every MPA family submit financial forms? All families are invited to submit financial information to determine the tuition level for which they are eligible. For families who elect not to submit financial forms, tuition will automatically be set at the top of the index for each student's grade level. What kind of economic situation is typical for families paying tuition below the top of the index? Family circumstances range widely. While some families can afford only minimal tuition, others can afford to pay around the midpoint or almost at the top of the tuition index. In calculating each family's ability to pay, FACTS considers various income sources and expenses. When will we find out the tuition determination for our family? It depends on when you apply via FACTS and how soon that information is verified by FACTS. As soon as the information is verified (usually 2 weeks from date of submission of materials), your indexed tuition will be calculated and enrollment contracts will be sent. For currently enrolled families who do not apply to FACTS, tuition levels will be indicated on students' re-enrollment contracts, which will be available at the beginning of January. Priority consideration for tuition below the highest level is given to currently enrolled students whose families are eligible. Unfortunately, in a particular school year, the number of students whose families are eligible may exceed the school's indexed tuition budget. Once the indexed tuition budget is gone for the year, no additional aid will be awarded. For students newly accepted to MPA, tuition levels will be indicated on the enrollment agreements enclosed with admission decision letters. Is indexed tuition available for all eligible students? Unfortunately, no. Priority consideration is given to currently enrolled families and, in a given school year, the number of students whose families are eligible may exceed the school's indexed tuition budget. While MPA strives to make indexed tuition available to a high percentage of accepted students whose families are eligible, in a given year the school cannot guarantee that resources will be adequate. Applying for indexed tuition early is important. Might our submission of indexed tuition materials hurt my child's likelihood of being accepted? Determination of tuition levels is a separate function from the admission process. Families should not hesitate to ask to be considered for tuition below the highest level because they are concerned that it might impact their child's application. Does indexed tuition continue throughout a student's years at MPA? If family circumstances remain the same and the school's resources can continue to support indexed tuition to the same extent. The school intends for a family to pay an indexed tuition throughout the child's years at MPA. It should be noted, however, that families must resubmit verified financial information each year. When will we know what the tuition is for an upcoming school year? Tuition ranges and payment dates are established each winter. For currently enrolled families, this information will be included in the re-enrollment communication at the beginning of January if not before. For new applicant families, it is conveyed with the acceptance letters mailed after you apply. Parents should be aware that there could be some increase in tuition each year. Information on available payment plans is also included in the January communication. If we have questions regarding indexed tuition, whom should we contact? Please direct questions about indexed tuition to controller Julie Cuadros-Perry at (773) 881-6700 ext. 230 or jcuadros@morganparkacademy.org.